It’s only fitting that Scotland’s orginal gin bar should have their own stills. Over 2018 the team will be launching several new products from the stills under new brands names on a larger scale. 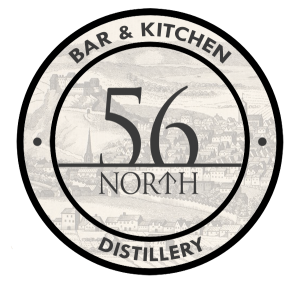 But the first products available from the stills will be “56 North Distillers Editions” and these are the ones to watch. The gins will give a window into the seasons, ideas and thoughts of the distillery team as they create unique ideas and flavors. They will be exceptionally rare liquids as batches of only 100 bottles, individually numbered and signed by the distiller. Tours of the distillery are now available, along with the long standing gin masterclasses.